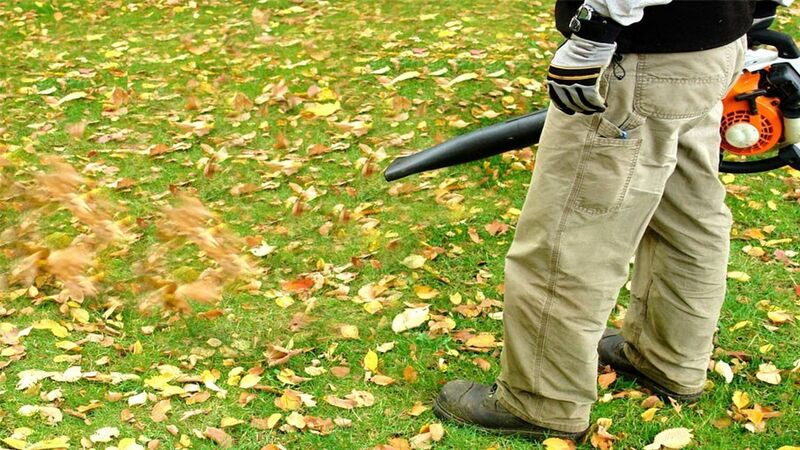 In search of silence: should Calgary ban leaf blowers? You’re in your house on an otherwise quiet weekend morning, and all of a sudden it sounds like somebody with an amped-up chainsaw is about to burst through the wall. You peer out the window. It’s no chainsaw-wielding maniac, but you almost wish it was. Instead, it’s your neighbour swinging around their goddamn leaf-blower, shuffling around a few leaves in an absurd display of deafening power. In Calgary as elsewhere, gas-powered leaf-blowers have become a scourge of urban life. They are excessively noisy. They spew more pollution than cars. They make it hard to concentrate. (If you’re a musician, it’s even worse.) They obliterate peace and quiet and the enjoyment of our neighbourhoods. Does winter bring respite? No. In a winter city like Calgary, it only gets worse. The leaf-blower morphs into what Edmonton writer Tim Querengesser calls a “100-decibel carbon shovel.” Here come the snow removal crews, roaring away. City crews use them. Citizens use them. Landscaping crews use them. Everyone, it seems, feels entitled to their leaf blowers. But it comes at a price. We give up both silence and our sanity. What to do? Many cities have banned or restricted them. 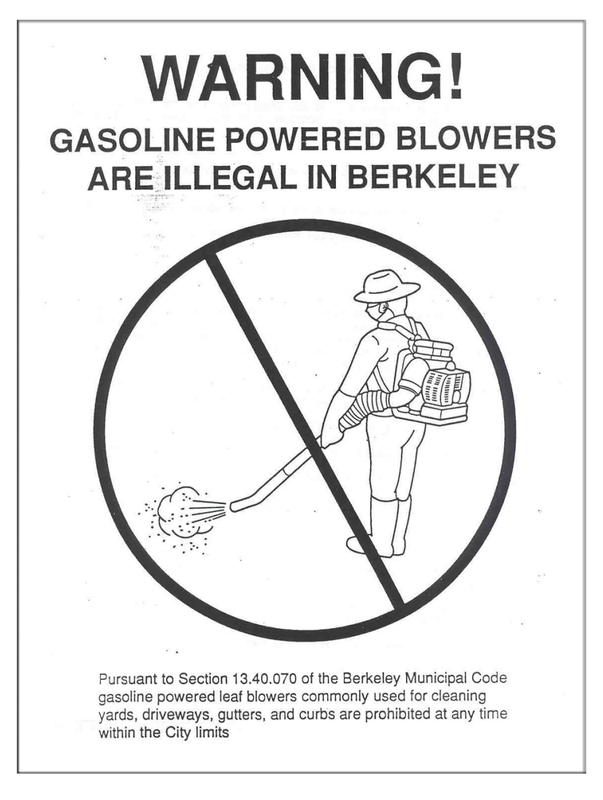 Cities like Berkeley, California, ban them altogether. Some cities ban them for certain times of the year, at least keeping summertime free from the irritating buzz. Earlier this year Maplewood, New Jersey, introduced a ban that stretches from mid-May until September’s end. “It’s a quality of life issue, it’s a health issue, it’s an environmental issue,” Maplewood deputy mayor Nancy Adams told the local TV station. In Calgary when we talk about problem noise, we tend to focus almost entirely on motorcycles. This is misplaced. A motorcycle rips though the silence and is gone, disappearing around the bend. Not so with the leaf-blower. It persists. There’s your neighbour, still blasting away.